When it comes to Ram trucks, it is hard to decide whether to talk about their hardworking capability or their above-class cabins and ride quality. Reviewers have given them high marks for both aspects. Edmunds, for instance, give them an A rating. Kelley Blue Book writes about their ability to appeal on my levels. One of the reasons Ram is so well-liked is that the automaker has quality materials even in the least expensive cabins. Ram interiors challenge other truckmakers to improve the basic materials that serve the everyday worker. Large backseats offer supportive seats and adult-sized legroom. Shoppers can get the basics or go for SUV-like amenities and comforts. Tech advances include the UConnect touchscreen with streaming audio apps. Voice commands and steering-wheel controls help users access a world of entertainment options. Built-in navigation can be the best friend of a busy tradesperson who is always on the way to the next job. Perhaps the two most surprising things about the Ram trucks are what you can’t see. Ram was one of the first and is still one of the best when it comes to noise reduction and insulation. A quiet cabin is further enhanced by a class-leading ride quality. These trucks utilize an exclusive multi-link rear suspension. That suspension does more than smooth the ride. It is one of the many ways that Ram has seen fit to improve handling. The everyday driver is sure to be pleased with the above-class drivability. The handsome exterior may look like a smaller version of a semi-truck, but it definitely doesn’t drive like one. The air suspension is still a one-of-a-kind truck feature. Drivers can tell it what height they want, adjusting up for ground clearance or down for loading. The system will drop the bed when needed for aerodynamics. Leveling the load reduces the stress of cargo weight and makes travel safer. Last but not least, essential to Ram popularity, you will find a range of engines. Unlike Toyota rivals, you will find a V6 edition as well as a powerful V8. The unique turbodiesel V6 cranks out 420 lb.-ft. of torque, and it earns 30 mpg highway. For off-roading, there’s the adventure machine, the Ram Rebel. This award-winning truck has made a name for itself as a trail conqueror. Although other truckmakers may push into its territory, the 2017 Ram continues its ability to serve many types of truck owners and to do it well. With so many ways to enjoy Ram quality and capability, we definitely recommend a test drive. 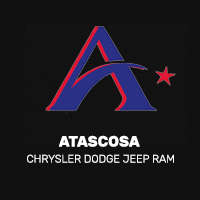 At the Atascosa dealership, Ram specialists can help you match your towing requirements to the best truck. You can also enjoy a closer look at all of the technology, including the class-leading air suspension. *** When properly equipped. See dealer for details.